Jekurantodistaja / ShutterstockJust 303 pints to go. If you’re waiting for just the right reason to take a trip across the pond, what could be more encouraging than the promise of lots and lots of beer? 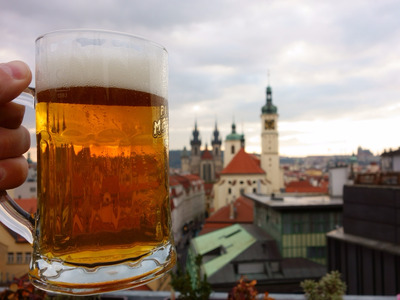 GoEuro recently shared the cheapest places around the world to buy a beer, but they have also studied those cities in Europe that drink the most brew per capita in their 2016 Beer Price Index. While Germany — not surprisingly — features heavily in the top 10, the residents of Prague, Czech Republic, consume the most beer, with an average of 38 gallons (304 pints) per person per year. That’s nearly five gallons more than the two Polish cities tied for second place.